Revisiting my father’s great work of theory can help us figure out what will take the place of faith in the free market. EDITOR’S NOTE: This essay was prepared for the Free Economic Society of Russia's 50th anniversary commemoration of the publication of The New Industrial State . Organizations do not have destinations. They have members, participants, and stakeholders. 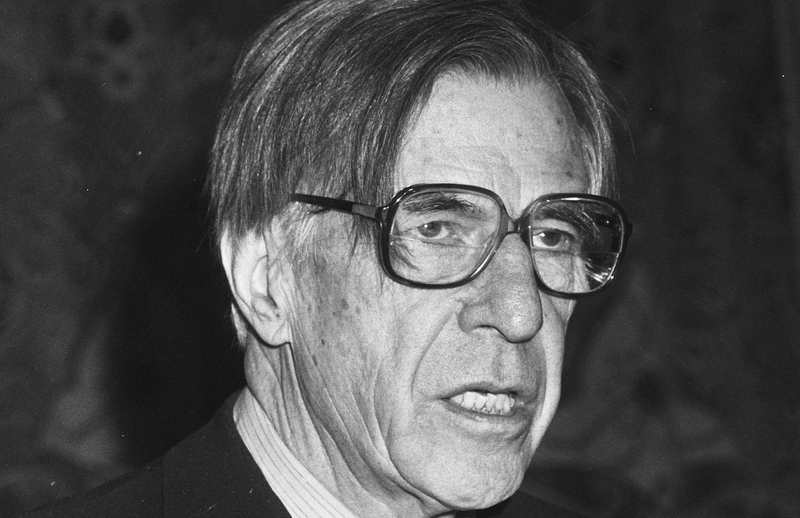 Galbraith admired Karl Marx, but his work supersedes many Marxian doctrines. The modern banker bestrides the corporate and the political worlds without understanding much of either. The United States became a country of coastal prosperity, dominated by elites, while vast industrial regions decayed. In a government by committees, many of them operating in secret, we have the client-driven character of decision making, which can lead to a capture of strategic direction—in national security, finance, regulation, and other areas—by cliques claiming authority and shouldering outsiders out of the way. We have the public relations apparatus with the distinct characteristic of a corporate propaganda machine, namely, an inability or studied unwillingness to tell a truthful story that is consistent from one day to the next. We have the board of directors, uninformed and accommodating, a rubber stamp—the modern Congress. We have the shareholders, also called voters, nominal owners and participants in occasional elections, which the management usually arranges not to lose.